Here in the US we celebrated Thanksgiving this past weekend. It’s a time of family, thanks, and giving. Most of us “gave” at the mall on Black Friday or online on Cyber Monday … but now it’s #GivingTuesday, an annual day where the world comes together to give. November is MLD Foundation’s second busiest travel and meeting time … so much so that we have yet to decompress and summarize all that we have done. Your generous gifts are what enables us to work on your behalf! We are working with yet another drug company on a MLD therapy … and one therapy might see an FDA registration next year! MLD gene therapy has a new owner, Orchard Therapeutics … and they are moving much more quickly than the prior owner. The MLD newborn screening pilot study is making great progress and we are preparing to launch in another state in a few months. Met with a pharma partner to help advance an ongoing genotype-phenotype study they have underway, This will be important to try to determine what form of MLD progression is expected if a baby is diagnosed at birth … and potentially for those diagnosed with early symptoms too. Attended the annual Rare Diseases and Orphan Products Breakthrough Summit sponsored by NORD. Met with industry, BIO, and numerous advocacy organizations to drive collaboration on rare disease policy – especially for ACA and Orphan Drug Tax policy issues. Met with another Pharma company who detailed to us some success and roadblocks for their therapy development. Continued our Compassion support for families … recently on the phone and in person in California, Maryland, Colorado, and even Perth Australia, and around the globe via email and social media. We’ve recently helped families get confirming diagnostics, make therapy decisions (including gene therapy, stem cell transplant, and no therapy), connect with clinical resources, obtain wheelchair vans and other equipment, and have been a source of direct financial support when unexpected expenses have arisen. Please remember to give on #GivingTuesday to support MLD Foundation! There are no salaries paid here – all donations go directly to Compassion support for families and to advance MLD Research and Awareness. November is MLD Foundation’s second busiest travel and meeting time … but this month we had an exceptionally busy time supporting families as well. Your generous gifts are what enables us to work on your behalf! Teryn was an invited panelist to a Social Security Administration event on SSI Compassionate Allowances where she presented the case to add juvenile and adult MLD to the CAL … and also insight on how SSA can be more effective n supporting families. Met with another Pharma company who detailed to us, for the first time, the details of their internal development work on MLD. That makes 3 companies who have active MLD projects plus at least two more we cannot name just yet. Hosted a MLD Newborn Screening Summit in Philadelphia with some 40 experts attending to focus our collaborative efforts to get MLD newborn screening (NBS) going in the US and abroad. The lab test results for the proposed screen are looking very good but there is much to do to get this ready for population-wide public health implementation. Met with a well respected and very knowledgable doctor/researcher who is anxious to pursue more MLD work … and is an active advisor/consultant for pharma and biotech investors. Working to bring two more strains of MLD mice to the US from Germany. MLD Foundation brought the first strain to the US in 2011. Continued our Compassion support for families … on the phone, in person in Philadelphia and Boston, and around the globe via email and social media. We’ve recently helped families get confirming diagnostics, make therapy decisions, connect with clinical resources, obtain wheelchair vans and other equipment, and have been a source of direct financial support when unexpected expenses have arisen. We even provided video and live streaming support for GLIA, the Global Leukodystrophy Initiative so leukodystrophy researchers can better collaborate. Today is Rare Disease Day. It’s an appropriate day to announce we have come one step closer to a MLD Newborn Screen! 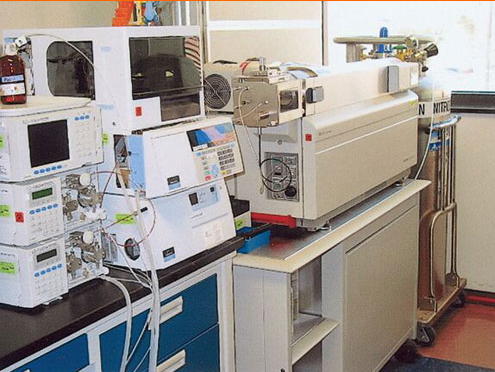 The pilot study to test the newly developed MLD Newborn assay/technique on current newborn babies born in Washington state will be starting within the next three months once testing lab equipment is in place. The MLD Foundation will continue to push forward until all newborns are tested for MLD. Thank you Dr. Michael Gelb for your tireless work to make MLD newborn screening a reality. 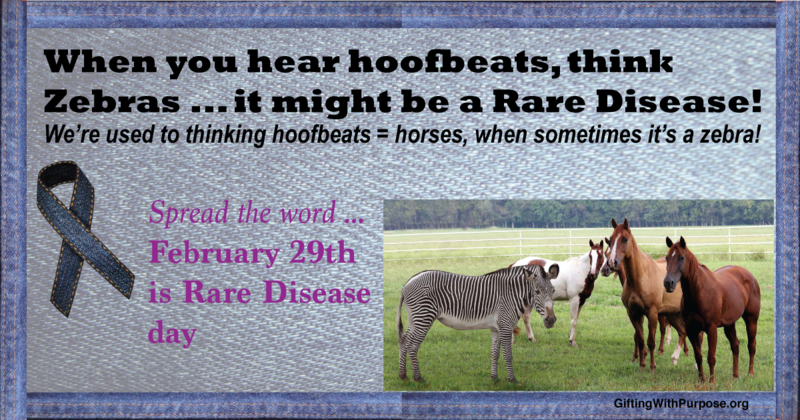 February 29th is Rare Disease Day this year. 1 in 10 – 30 million Americans – have one of the 7,000 rare diseases. On this rare day take a look around – who is it in your circle that has a rare disease? MLD Foundation is very busy this Rare Disease Day not only on behalf of metachromatic leukodystrophy, but also on behalf of all with rare diseases because at helps the rare disease community will help MLD along our journey. One of 40 exhibitors and poster presenter at this very important Advocacy Day. The poster is about the RUSP roundtable, and initiative focused on improving newborn screening. RUSP Roundtable is a MLD Foundation organized, hosted and sponsored event that is a unique gathering of key opinion influencers in the newborn space representing clinicians, state & public health, advocates, genetics, genomic sequencing, industry, ethics, privacy, and more to improve newborn and childhood screening and health. We are pleased to be the inspiration for newborn screening legislation just introduced in California by EveryLife Foundation that will require California to quickly implement new screens as they are approved by the federal ACHDNC. Right now each new disease requires legislative authorization. This “Once and Done” legislation will be model legislation for all the other states. Dean is the host and moderator for a day-long legislative training conference for nearly 300 advocates from e very state who have gathered in Washington DC. This is his 3rd year in this role and he continues to make sure every advocate walks away better informed and more confident as they impact policy for all of us. Newborn Screening breakout session presenter. Dean is responsible for sharing a full overview of the process, status, issues, and opportunities in Newborn Screening. 300 advocates will split up to meet with all of their Congressional representatives using the training from Tuesday’s legislative conference to advance Rare Disease awareness and policy. Dean is leading a group of advocates representing the Pacific Northwest for six meetings with our Congressional representatives. The House has had a Rare Disease Caucus for quite a number of years. New this year is a Senate Rare Disease Caucus. The Senate has very few caucuses so this in itself is rather unique. Dean will be attending the Rare Disease Caucus meeting to share the Rare Disease voice. The month of February is Rare Disease Month – our time to increase awareness of the possibility of Rare Diseases as a diagnosis. 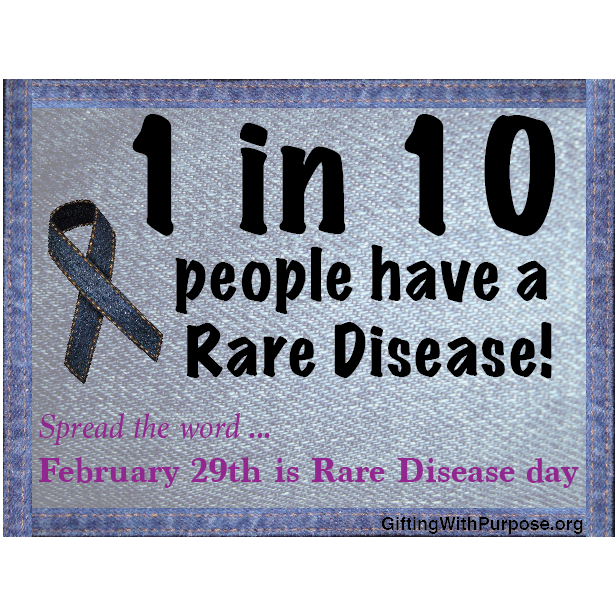 Please do your part – share these posts and plan a special event for Rare Disease Day. 1 in 10 have a Rare Disease. over 7,000 Rare Diseases … 30 million Americans, 30 million Europeans, and over 350 million world-wide are affected by Rare Disease. 80% of Rare Diseases are genetic. If all Rare Disease patients live together we would be the 3rd most populous country. 50% of those affected with Rare Disease are children. Rare disease is responsible for 35% of all deaths the first year of life. Less than 5% of the Rare Diseases have a FDA approved therapy. Hear hoofbeats … think zebras! 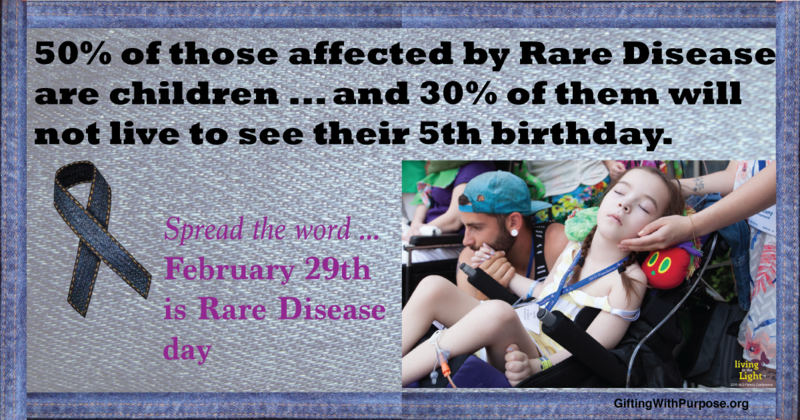 Febru ary is Rare Disease month, culminating on February 29th – a Rare Day indeed – which is Rare Disease Day. Sign up to follow this blog and be sure to share this post. Mld Family Conference™ – Register Now! Registration for our 2105 MLD Family Conference in Newark Delaware is underway and closes in just a couple of weeks. If you are a MLD Family we’re anxious to have you register. Many of your MLD Family will be there to meet, share, and socialize with. Please bring your MLD loved one with you – we not only want to meet them, we have a special professional photographer to take your family’s photo while capturing the spirit of our special loved ones and the MLD journey through photography. You will again find familiar faces in the Respite room to care for your other children and your MLD loved ones. Those with MLD angels are always lovingly encouraged to attend – you have so much to share with the rest of us and you will surely find folks that “just get it”. Conference details and an agenda are here: http://mldfoundation.org/mldfc/mld2015-de.php We’ve organized some travel grants as well as registration scholarships if you need some help. * Dr. Biffi will be attending (in person) and sharing/discussing the Milano gene therapy clinical trial. * Shire will be discussing their ERT clinical trial status and sharing some interim results. * Newborn screening … updates on the assay development, federal/state policy & actions, and the RUSP Roundtable we are organizing … and how you can help! * On Saturday, as usual, you will drive the Practical Care agenda, … including a discussion about medical marijuana & CBD oil . * We’re working hard on a special fun Saturday evening event, a memorial butterfly release, the traditional MLD “bashing”, and MLD After Hours. We have many of the global MLD experts attending so you can meet them and ask any questions you may have. With travel support and scholarships available, all you need to do is register! You can defer paying the modest registration fees for a few weeks if you need to, but we want to know you are coming so we save the right number of sleeping rooms! Newborn Screening – Should a Viable Therapy be a Requirement for a NBS? A NBS screening test that is reliable for both affected and unaffected patients and is acceptable to the public. We are slowly becoming better at identifying and diagnosing Rare Diseases, unfortunately diagnosis occurs most often after symptoms are presenting. The great majority of the 7,000+ rare diseases do not have efficacious therapies. More than half of all rare diseases affect children and 30% of those children will not live to see their 5th birthday (1). “There is always a therapy – it may not be a cure or a disease specific treatment, but we can always do something to optimize quality of life.” Paraphrase of Dr. Marc Patterson from the Mayo Clinic, Rochester MN. With MLD and many other rare diseases, the diagnostic odyssey can last years and usually there are multiple misdiagnoses along the way. If we don’t know what disease we are dealing with we can’t be sure we are providing the best care. A NBS for MLD, even without a treatment, would avoid the diagnostic odyssey and allow parents to know up front what to anticipate for the best care of their child – resulting in an optimized quality of life for their child and for the family. There are good arguments for requiring a viable treatment before formalizing a NBS as well. Test and treat – don’t create a sense of helplessness and panic where there is no therapy. Don’t cause parents to take desperate actions to “do anything” for their child. Parents and families are starting to clamor for more medical knowledge sooner so they can better care for their children and industry is also awakening to the advantages of a pre-viable-therapy NBS – the potential negative this would have on the ability to capture natural histories that are necessary to get therapies approved being traded off for the identification of patients for potential study and real disease prevalence information. I am calling for a NBS Therapy Summit or series of summits in the near future, perhaps starting next fall or winter, to encourage all interested and affected parties to share their concerns, views, issues, and thoughts. An open discussion will give us all indications as to if the viable therapy requirement should be reconsidered. If you are a public health official, researcher, policy/regulatory person, SACHDNC committee member, parent, advocacy group member, an industry representative, clinician, or just interested in this topic I encourage your participation. Follow this blog and I will keep you posted on any progress towards a summit..